In this series I am going to take a look at the various tv shows, film series and pieces of literature that have inspired Doctor Who. Throughout its long history Doctor Who has taken from many different sources and like everything else it has meshed them together to create something new and unique. We will start with Quatermass. Now for those of you who aren’t familiar with it, Quatermass was a science fiction franchise created by the late great Nigel Kneale. It ran for four television serials The Quatermass Experiment, Quatermass 2, Quatermass And The Pit and Quatermass. There was also a 2005 remake and three films released by Hammer Studios based upon the first three serials. The franchise revolved around the Holmseian scientist Bernard Quatermass who was the head of the organisation British Rocket Group. Quatermass faced a variety of strange alien foes and the series themselves dealt with a variety of social themes with Quatermass and the Pit serving as a metaphor for the Nottingham race riots of 1958. 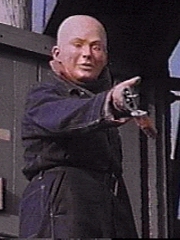 The character of Quatermass was intended to serve as a contrast to the main characters in contemporary American series at that time. 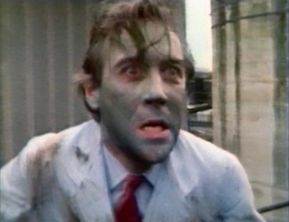 Nigel Kneale wanted Quatermass to be more human and relatable and also rely on his intellect to defeat whatever threat he came across rather than lethal force. -Nigel Kneale on what he wanted with the character of Quatermass. Now its no secret that Quatermass was a big influence on Doctor Who. Many fans over the years have commented on and written about the similarities between both series including Mark Gatiss, a lifelong Doctor Who and Quatermass fan who has also written and acted in both franchises. I think Quatermass’s influence Who has perhaps been a bit overstated however. For instance I don’t think that the overall premise of Doctor Who really owes anything to Quatermass. Indeed Doctor Who’s premise in some ways was the complete opposite to Quatermass. Doctor Who was about a character who could go anywhere to any point in history. 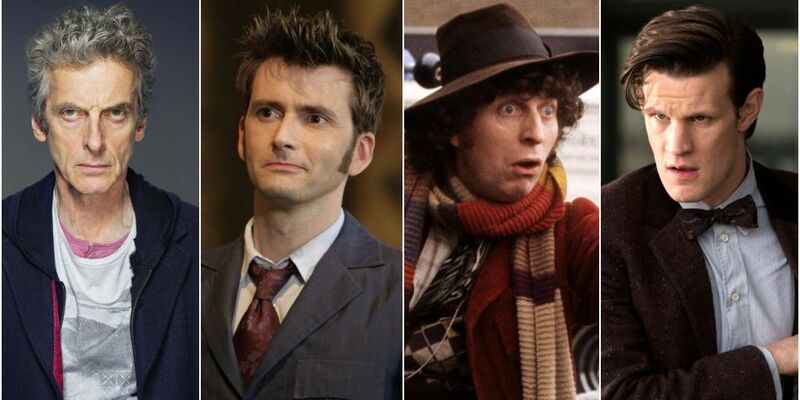 The character of the Doctor is also an unpredictable alien and in many ways an anti establishment character. He has defied the society of the time lords, and he lives by his own rules and often challenges authority everywhere he goes. Quatermass meanwhile is entirely earth bound and revolves around a man who is a very human character and who is very much a member of the establishment, though he is a bit of a maverick, he is nothing like the Doctor who is essentially a bum. The Doctor was also a failure back on Gallifrey. He even failed his exams at the Time Lord Academy. Quatermass however is very much a respected academic figure. He is anything but a failure in his own society. Thus yes in some ways Doctor Who could actually be seen as the polar opposite of Quatermass. However it just goes to show how broad the concept of Doctor Who is that it is able to incorporate elements of Quatermass something which at first glance seems like it couldn’t be more different to it. This is really because Doctor Who in actual fact has no fixed concept. It can be Quatermass one week, Star Wars the next, even a fantasy series like Buffy the Vampire Slayer too. I don’t think there was any Quatermass in the Hartnell era at all. Though the Doctor was always somewhat comparable to Quatermass despite the many different aspects of their personalities as both were always very much Holmseian, British, gentlemanly heroes who use their intellect rather than force and they both generally seek a peaceful solution to most problems. Both contrasted with the more action oriented heroes of science fiction who carry weapons and use their fists to solve problems and always have to have a love interest of some sort like the much earlier Flash Gordon. However I think its really during the Troughton era that the Quatermass influence begins to creep its way in and it has really lasted in some form or another even to this day in Doctor Who. I think that’s probably why Quatermass is more associated with Doctor Who than any other series. Its not so much that Doctor Who’s premise was inspired by Quatermass or even that the character of the Doctor was inspired by the character of Quatermass. Just simply that Who has continued to take little bits and pieces from Quatermass throughout the decades. The first Doctor Who story that I feel really tried to evoke a Quatermass feel was the Patrick Troughton story “The Web of Fear”. “The Web of Fear” features an alien menace lurking in the London Underground just like “The Quatermass Experiment” and over the years a number of reviewers have commented on the similarities between them including the official BBC website. “The Invasion” an 8 part Cyberman story also bares some similarities to Quatermass 2. The Doctor himself takes on a somewhat Quatermass style role as the eccentric professor working with a British organisation to counteract an alien threat. UNIT owed a rather large amount to The British Rocket Group, the organisation that Quatermass worked for. The idea of aliens brain washing high profile leaders for their own plans in “The Invasion” was also inspired by “Quatermass 2” as well. However whilst these Troughton era stories do share some similarities with Quatermass it would really be during the Jon Pertwee era that Quatermass’s influence on Doctor Who would be at its greatest. Producer Derrek Sherwin mentioned that he and the rest of the production team decided to set Doctor Who largely on earth to try and capture the feel of the Quatermass serials. During the Third Doctors era the character of the Doctor essentially becomes Quatermass. Though he still remains the same lovable eccentric alien, Pertwee’s time also sees him go from being a bohemian wanderer to a maverick scientist like Quatermass, working for a British organisation. Jon Pertwee’s Doctor in contrast to Hartnell’s is very much a member of the establishment like Quatermass is. Verity Lambert the original producer of Doctor Who, who in many ways helped to create the show itself actually said that she disliked Pertwee’s performance as the Doctor as she felt he was too establishment. However don’t think that this means that Pertwee’s Doctor did not still have a rebellious streak to him. Indeed ironically many of Pertwee’s stories ironically had more of a left wing slant to them than either of his predecessors. Jon Pertwee’s Doctor and Bernard Quatermass were both the classic type of British hero who is a member of the establishment, but ultimately hates it and grows tired of all its nonsense. Many third Doctor stories where specifically inspired by old Quatermass stories. “Spearhead from Space” the third Doctors first story draws from Quatermass 2 much like “The Invasion” only more so. Quatermass 2 and Spearhead from Space both involve an alien entity falling to the earth in the middle of a meteroite shower. Said alien menace in both cases then goes on to take over a factory before it goes on to take over governmental institutions. The Daemons a beloved third Doctor story also owes a huge debt to “Quatermass And The Pit” . Both stories revolve around aliens shaping mankind’s history and being responsible for early myths about demons, devils and horned creatures. Both even have similar settings too. It could be argued that pretty much all of the UNIT era stories owe a big debt to Quatermass not just in the third Doctors era but right the way through even to the recent “Dark Water/Death in Heaven”. They are all essentially following the Quatermass format. The Doctor is the Quatermass figure the eccentric, expert, British gentlemanly hero who uses his mind and tries to find a peaceful solution working alongside a British organisation, UNIT/ The British Rocket Group to contain alien threats. In addition to this the alien threats in the UNIT stories often have similar schemes and methods of attack to the aliens in the Quatermass serials. The aliens in a lot of UNIT stories have found some way to take control of people in the government just like the aliens in Quatermass 2. Examples of this include the Cybermen in “The Invasion”, the Autons from “Spearhead in Space”, Boss in “The Green Death”, the Zygons in “The Terror of the Zygons”, and the Slitheen in 10 downing Street in the revival. 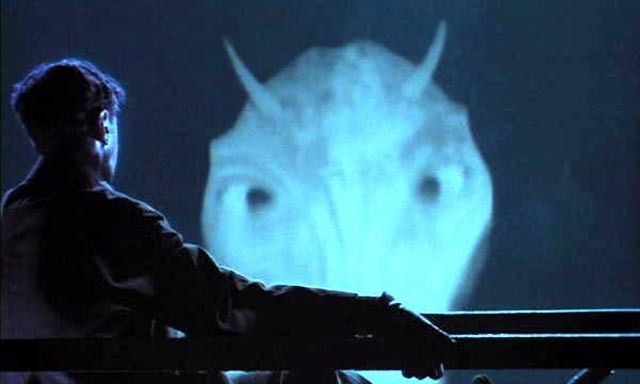 The aliens in many UNIT stories may also be a menace that infects people that may have been created by an experiment that goes wrong exactly like the villain from “The Quatermass Experiment” . The Primords are an example of this having been created from a green slim that is unleashed from Professor Stahlmans Inferno project that turns people into savage, animalistic creatures. The Krynoids from “The Seeds of Doom” who infect scientists and turn them into hideous monsters are also an example of this and even the maggots who spread a lethal plague in “The Green Death” follow this template too. The Quatermass Experiment and every one of these Doctor Who stories all feature scenes of extreme body horror. The Krynoids bursting out from under people’s skin, the Maggots plague turning people bright green or the alternate Benton slowly and painfully transforming into a Primord. Finally the villains in UNIT stories will also often be ancient aliens who were responsible for some prominent myth from earths past too, just like the Martians in Quatermass and the Pit. Examples of this include Azal from the Daemons who like the Martians is responsible for the ancient myths regarding Demons and Devils. 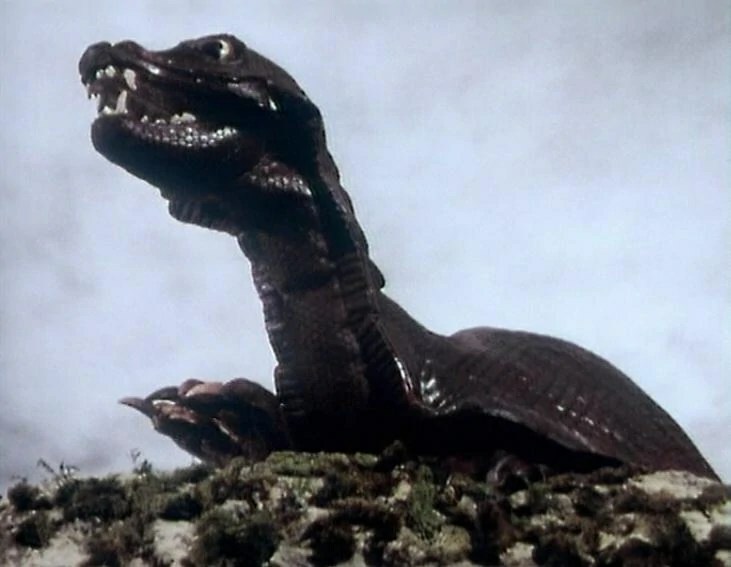 Then there is the Zygons, whose pet the Skarasen is the source of the legend of the Loch Ness Monster. Morgaine in the 7th Doctor story “Battlefield” is the inspiration behind the character of Morganna from Arthurian legends, whilst her son Mordred is the inspiration for the character of the same name from Arthurian legends too. Missy meanwhile in the latest UNIT adventure was also revealed to have been responsible for every myth about the afterlife through her nethersphere. All of these UNIT stories explore the same basic theme of “Quatermass and the Pit”. What if the ancient myths were inspired by an alien? Demons, the Loch Ness Monster, Arthurian Legends, even heaven itself. Now the idea of myths being based on some ancient alien visitation is not exclusive to Quatermass. in all fairness, its an old sci fi trope. However the way it is presented in the UNIT stories is very much in the style of Quatermass and the Pit. Often these UNIT stories have a similar setting in rural Britain and again the both UNIT and the Doctor serve as surrogates for the British Rocket Group and Quatermass himself. Its not just the UNIT stories that have been inspired by Quatermass however. “Image of the Fendahl” also draws on Quatermass and the Pit quite heavily too, featuring similar ideas about race memory and aliens creating mankind. The Tenth Doctor story “The Lazarus Experiment’s” ending meanwhile is virtually a remake of the ending of the first Quatermass serial. The Eleventh Doctor story “Hide” is also very heavily inspired by Quatermass and the works of Nigel Kneal such as “The Stone Tape” in general. Apparently it was the intention of the writer of the story Neil Cross to actually have Quatermass himself appear in the final scene of the story. Sadly however they were unable to get the rights to the character and this scene was cut from the script. Its no surprise that Quatermass has had such a long lasting influence on Doctor Who as so many of Who’s writers and producers are huge fans of Quatermass and have regularly praised it. Derrek Sherwin, Barry Letts and Terrance Dicks all cited Quatermass as a huge influence on the Third Doctors era. Sherwin in particular said that the influence of Quatermass moved Doctor Who towards realism and away from “wobbly jellies in outer space”. Robert Holmes was also a fan of Quatermass as was Ben Aaronovitch and Andrew Cartmel both of whom included references to Quatermass in Rememberance of Daleks. Aaronovitch even called his second story “Battlefield”, “Nigel Kneale light”. Among the new series writers Russell T Davies has cited Quatermass and the works of Nigel Kneale as a big influence on his career, whilst Mark Gatiss is a huge fan of Kneale’s stating that he considers Kneale to easily be the equal of the likes of Dennis Potter, David Mercer, Alan Bleasdale and Alan Bennet. Does Bernard Quatermass exist in the Doctor Who universe? In “Remembrance of the Daleks” set in 1963, round about the time of the original Quatermass serials, Bernard Quatermass is directly referenced as a real person. Military scientific advisor Dr Rachel Jensen says she wishes Bernard was here. Alison her colleague says in response “British Rocket Group’s Got its own problems”. Whilst it is not made clear that this is the Bernard Quatermass, Andrew Cartmel says that this was the intention to imply that Doctor Who and Quatermass take place in the same canon. This scene at the very least shows that British Rocket Group exists in the Whoniverse. In the 1997 Doctor Who novel “The Dying Days” we see an elderly character who is referred to as Professor and Bernard and at one point he is introduced mid sentence as “ermass”. This story is set in 1997 and therefore is over 30 years after the events of Remembrance of the Daleks. The author of this story Lance Parkin has stated that this was intended to be Quatermass. The Tenth Doctors first story “The Christmas Invasion” actually features the British Rocket Group. However the organisation was only identifiable by a logo that was not clearly seen on screen. The tie in website created by the BBC however conformed that they were the British Rocket Group. The 2008 Novel “Beautiful Chaos” the Doctor and Quatermass are established as being friends as the Doctor mentions having been invited by Bernard and Paula (Quatermass’s daughter) to the Royal Planetary Society. Finally in “Planet of the Dead” Bernard is used as a unit of measurement. It is later said that this is in reference to Quatermass, but whether it is as a fictional character or as a real person it is not made clear. Given the fact that Rocket Group does exist in the Whoniverse and Bernard has been referenced in “Remembrance of the Daleks” as working for it, the latter seems more likely. As you can see whilst there have been references to Quatermass throughout Doctor Who there has sadly never been a full blown crossover between the two sci fi greats, though there were plans to in the 2013 episode “Hide”. With a new Quatermass series currently in development it is possible that we may one day see a crossover between Doctor Who and the series that inspired it so greatly. Another sort of crossover between Doctor Who and Quatermass was in the 2005 remake of “The Quatermass Experiment”. David Tennant appeared in this production as the character of Briscoe. It was during the making of this version of Quatermass that Tennant discovered he had been cast as the Tenth Doctor. Jason Felyming who played Quatermass apparently changed one of his lines as in joke to this simply referring to Tennant’s character as Doctor rather than Doctor Briscoe. Sadly whilst just about everyone involved in Doctor Who evidently loved Quatermass, Nigel Kneale the creator of Quatermass utterly loathed Doctor Who in every respect. He considered it a terrible idea and also felt it stole his ideas. He flat out refused to write for it despite being asked many times and regularly slated it. Here are some quotes that demonstrate his feelings towards Doctor Who. I must admit that I was a bit disappointed in Nigel Kneale. It seemed very closed minded of him not to acknowledge at least that Doctor Who is a fabulous idea for a science fiction series. Fair enough he may have felt it wasn’t that well realised, but how could such a great science fiction writer honestly think that a show about a man who could visit any planet at any point in its history was a terrible idea? The potential is virtually limitless. Far from being something that is not a writer’s idea, its the best idea of all time for a writer. Ironically its a writers dream as it allows them to do anything, but its always been a producers nightmare as because the writer is given virtually no limits then the producer with their limited budget often finds it difficult to bring their ideas to life. I think Kneale’s dislike from Doctor Who probably more stemmed from his belief that Doctor Who stole his ideas rather than because he felt it was a genuinely terrible idea as he never really explained why he felt it was such a terrible idea. Its fair enough that Kneale felt the show took a lot from his work, but it must be remembered that Kneale also like anyone else also lifted ideas from his predecessors too. Its a shame that Kneale couldn’t see that Who whilst taking inspiration from his work (among other things) nevertheless carved out its own identity. I often wondered what it would have been like had Kneale actually written for Doctor Who. It would have been brilliant, but sadly he always disliked Doctor Who. Ironically however many people have discovered Quatermass through Doctor Who. I myself am in my early 20’s. I was born decades after the original Quatermass serials finished and it was only through my love of the classic who that my parents introduced me to on video that I discovered Quatermass after reading all of these reviews that compared some of my fave stories to old Quatermass serials. Thus whilst Doctor Who obviously benefited from Quatermass that has been a constant well of ideas for it, Quatermass has at the same time benefited from Doctor Who that has helped to keep its legacy alive. Join me tomorrow when I will look at HG Wells influence on Doctor Who. Thanks for giving a tour of Quartermass and showing the direct influence on Doctor Who. I’ve seen many references to this show, but have never tracked down an episode. (To be fair, I haven’t looked for copies internationally, so they might be readily available.) Io9 mentions it often, it seems. Out of curiosity, how does the Third Doctor’s era compare to Quartermass in tone? Is Pertwee’s humor based on his character, too? I’ve always felt that it was a combination of the arrogance and humility of the Third Doctor that made him unique, specifically in the humor it gave the show. Pertwee read as being very self-aware, for example, when blustering or criticizing lesser thinkers. There was a bite to it, but underneath I felt he really was enjoying himself and winking at the audience. Did Quartermass have an actor who showed this type of meta-awareness? Weird question. Sorry. You can safely ignore it, if you choose. Thanks for starting this series. Looking forward to hearing you talk about Doctor Who’s connection with The Twilight Zone. The tidbit you threw out was tempting. Thanks for your reply. Quatermass is difficult to find. A lot of its wiped like the original Doctor Who, I also don’t think it ever caught on in America, though John Carpenter and Stephen King liked it. I’d say the humor in Quatermass is a bit more like Frasier in that its trying to be more clever at times as opposed to Jon Pertwee’s which was a bit more straight forward IMO. Glad you like the series I will be doing the Twilight Zone soon. I didn’t want to rush into the one though, glad you liked it. This is gonna be a long series LOL. That’s a shame that Quatermass got wiped too. How awful. Now that I know I probably won’t find the series here, I’ll start investigating other sources. Thanks! Ah. That actually makes me feel a little bit better. I can handle borrowed plot elements, but I’d be sad if Pertwee’s vibe weren’t his own. I don’t mean to rush you. I am just a big fan of that show too, and am looking forward to hearing what you have to say. Cool series. Shame about Kneale, but at least Joss Whedon came around. Oh dear, I see you’ve deleted the Comic Books entry in this. 😦 I liked that. Ah, well, I’m sure you know what you’re doing. Don’t worry its not gone for good. I felt there was more to write about Doctor Who’s similarities to comic books. So I am going to do a full article on it that won’t be part of this series, but will still be looking at comic books influence on DW. It will also be looking at the history of DW as a comic too. All those wonderful tv century 21 comics, action comics, marvel Doctor Who comics etc. It will be up later as I have quite a lot of projects on the go now. Glad you liked the original though. The new one will be even better. Ah. Like I said, I was sure you knew what you’re doing.